High containment levels specially designed for high specification needs and demanding projects. The culmination of decades of experience delivers world-class dry granulation capabilities. 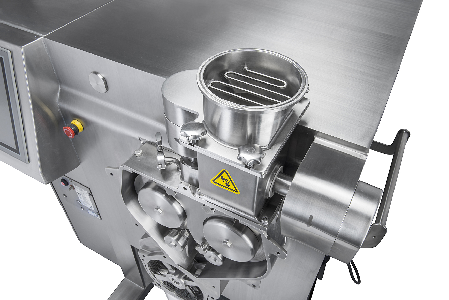 High quality results are thanks to our unique dual-screw feed system design which ensures the ideal conditions are created right from the outset at the critical nip area of the rolls. 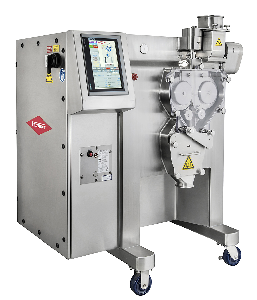 Our range of CCS Roll Compactors are inherently well sealed with vacuum-tight security. But where even higher containment levels are demanded, our patented Product Containment System (PCS) with nitrogen inerting and security interlock is available. The robust design gives you a machine with a long lifespan for a solid return on your investment. 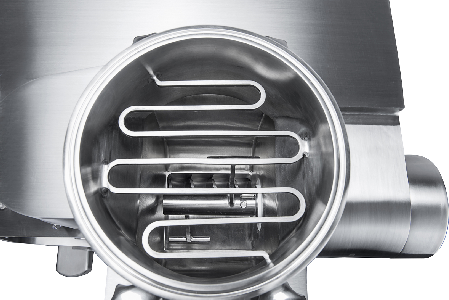 With minimal components to maintain or clean, production up-time is maximized. All CCS models share the same design, making it easier for cleaning and maintenance as knowledge is completely transferable. 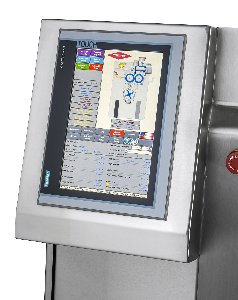 Standardized HMI screens enable your Operators to run any machine. Additionally, results on lab and pilot models are directly scalable to larger units. 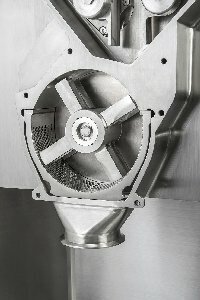 Pilot/R&D system for small volumes. Ideal for R&D proof of concept research. 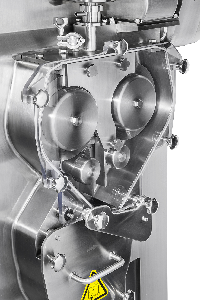 Directly scalable to production equipment as the roll diameters are identical. Compact, mobile unit which is easily movable. Uses the same body as the CCS320 so retrospectively convertible to a CCS320 by changing rolls. Customization available to suit specific needs. Ideal for small volume and pilot-scale research. 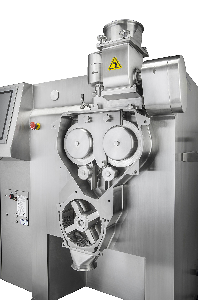 Directly scalable to production equipment as the roll diameters are all identical. A compact, mobile unit which is easily movable. Isolator design for rigid/flexible wall. 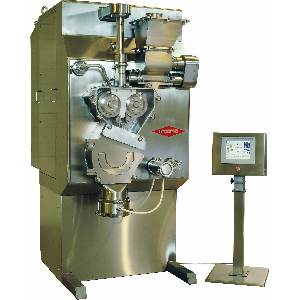 Production scale equipment for mid-sized capacities. Standard design is suitable for either free-standing or in-wall installation. In-wall installation minimizes GMP room size and removes the need for PPE when accessing the technical area. Increase the containment levels with an optional PCS package. Uses the same body as the CCS720 with roll sizes changed. PCS – Product Containment System increasing containment rates and security. 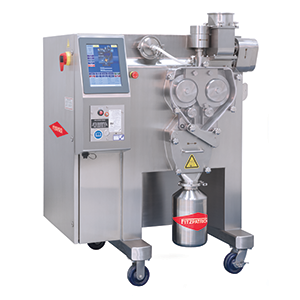 Production scale equipment for larger capacities. Available as through-wall installation to facilitate easy maintenance or reduce clean room needs. Increase containment levels with the optional PCS package. Uses the same body as the CCS520 with roll sizes changed. Floor or Through-wall installation design. The largest volume capacity of the range. With the in-wall installation the Technical Area is entered from the back for ease of use without the need for PPE. Optional Product Containment System (PCS) ensures minimal operator exposure to active ingredients and helps to prevent product loss or contamination. Product Containment System (PCS) increases containment rates and security. 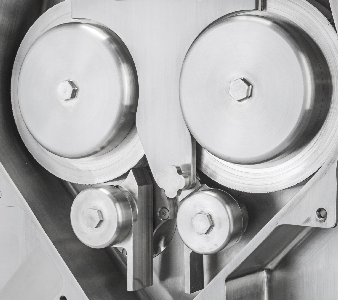 As well as meeting the requirements of cGMP, we want to ensure that the machines we develop are well designed and safe for the user, so we follow a variety of specific industry directives. All Fitzpatrick products are designed and manufactured in a facility with an ISO 9001:2015 accredited Quality Management System. The scope of this Quality Management System applies to all processes and activities which are controlled, managed and performed by employees within the Fitzpatrick company. The current Certificate of Registration, reference Certificate No: CERT-0123529, has been issued by SAI Global and is effective to September 3, 2021. The equipment is ATEX marked, comes with an ATEX Declaration of Conformity, and is to certified to comply with the ATEX Directive 2014/34/EU. Models are available to meet ATEX Zone 20 (1D) inside and Zone 1/21 (2GD) outside. 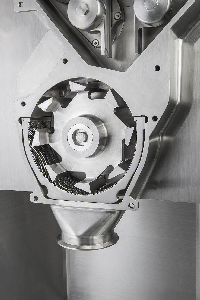 With the patented Powder Containment System (PCS), and nitrogen inertion option, it is possible to process highly potent powders with MIE < 1mJ in a contained manner. All equipment destined for Europe is CE marked and comes with an EU Declaration of Conformity. It is certified to comply with the Machinery Directive 2006/42/EC, the Low Voltage Directive 2014/35/EU and the Electromagnetic Compatibility Directive 2014/30/EU. Our equipment is designed to meet a variety of international safety standards, so whichever country you are in we can be compliant. 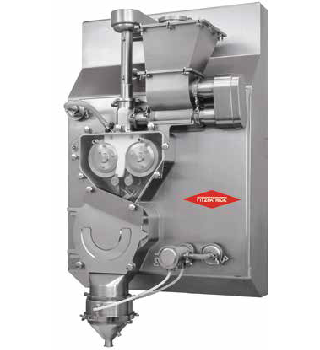 Discover how the Roll Compactors from Fitzpatrick are world-leading and have become the equipment of choice for many pharmaceutical companies around the world. 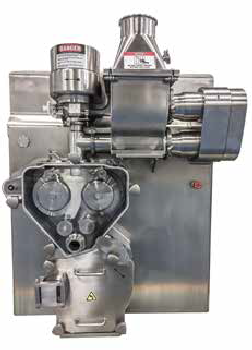 The Fitzpatrick Roll Compactors are the culmination of decades of experience, enabling you to achieve high quality products in the most demanding projects.